This giveaway has ended and the winner is Claire from Columbus, Ohio. Normally our limited edition prints are only signed by the photographer (Dane Shitagi) but this special print that we are giving away is also signed by the ballerina in the image, Violeta Angelova. This print is our standard large size 16×20 inch print and is also the 9th print produced in the edition of 20. The pointe shoes that will be part of the prize for this current giveaway are pictured below. 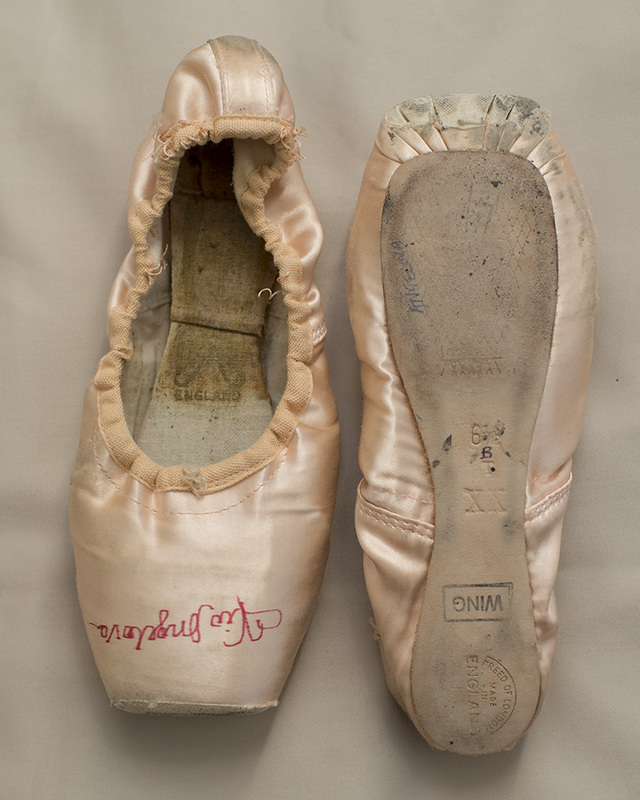 These shoes have been worn and used by Violeta Angelova. Each shoe is also autographed. This image was created in front of the Manhattan Bridge in the Spring of 2009. To learn more about Violeta Angelova check out her biography on our new website. We will be randomly selecting a winner at 12noon (eastern standard time) on December 11th from current subscribers to the Ballerina Project website. 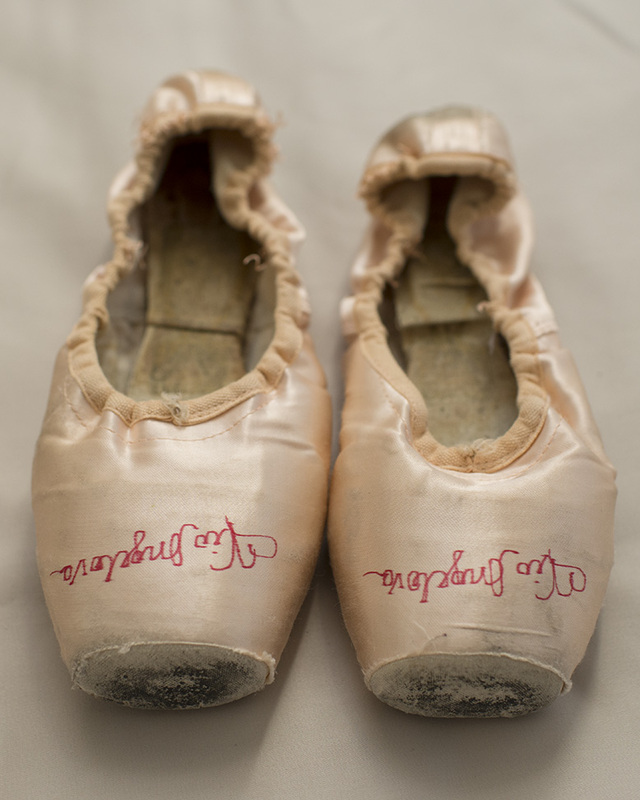 If you don’t win this print and pointe shoes there will be more reoccurring giveaways in the future.